Welcome back! 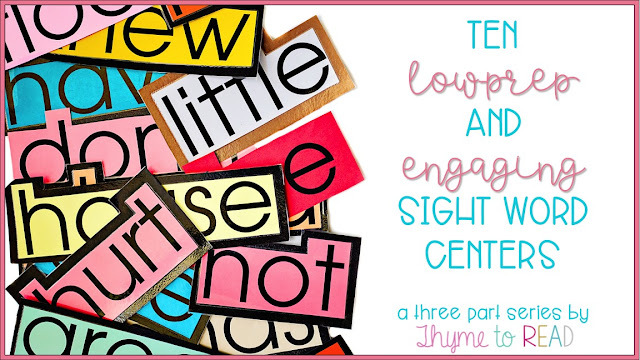 This is Part 2 of 3, of exploring new ways to teach sight words. 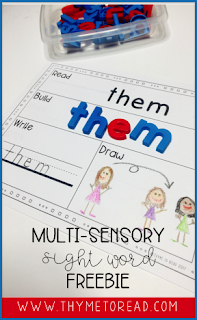 Last time, I shared how to effectively and explicitly teach sight words using a multi-sensory approach to ensure we are engaging all our diverse learners. If you missed that post, you can check it out HERE! 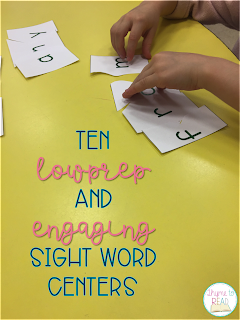 This week, I would like to share 10 of my favorite ways to practice sight words. Now that your students have been explicitly (and systematically) introduced to their new words, it is time for them to be exposed to these words over and over again. I have read that it takes approximately 30 exposures, for an adult to commit something to their long term memory - I can believe that it may take more for a child, especially a struggling reader to commit these words to automatic memory. The following activities can be used in a teacher guided instructional group, independent or collaborative center, and some can even be sent HOME for your students to practice. Please be sure to make your way through this post. There are several FREEBIES included, and some are exclusive to YOU, my loyal teacher friends. and my students love it! All you need to do, is take an index card, fold it in half and write a word on the card. I do this with 4-6 words at a time. You can even have your students make their own 'word tents' in an independent center, so they are ready when they get to your group. To start, I call out a word, and the students hold up the card that matches. Once I see that they are correctly identifying the words, I up the game. I will use a word in a sentence. Now the students can hear how the word is used in context, and they need to be careful listeners to see what word I use, so they can hold it up. You can switch this up again, by spelling the word (or singing it, if you gave it a tune) - then students would need to hold the word up and verbally identify it. 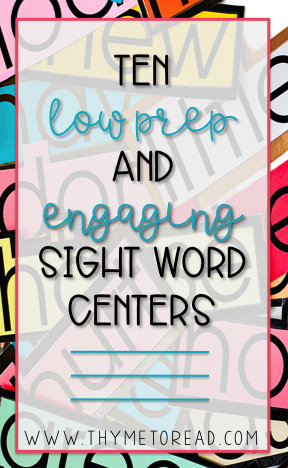 teach new sight words. However, engaging your diverse learners during practice will continue to help solidify these words in their long term memory. We cannot diminish the fun behind using play-doh or wikki stix to spell sight words. I'm not sure if there is a better way to clean our tables than to whip out the shaving cream and let our kiddos go to town writing their words. And there is no doubt, my students LOVE using stamps or an old key board to practice too. 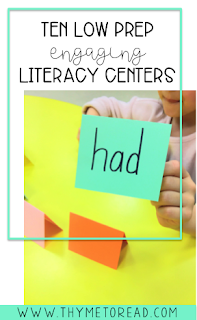 These are all amazing, and low-prep ideas to keep your literacy centers fresh! My students also like to use this FREE sight word mat, to practice reading, spelling, and drawing their sight words. It has editable sections, so you can customize it to fit your words for the week. You may choose to put this in a dry erase pocket so you can reuse it again and again. Or, you can make copies for each student, to later add to a practice folder, and eventually send HOME. When I was a kid, I loved puzzles. I'm finding that my students are not much different than I was. 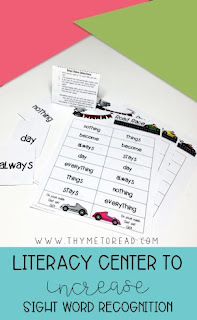 To create this center/intervention activity, you can just cut up flashcards. To create mine, I typed up my sight word lists, and increased the spacing between each letter. Then, I printed, laminated and got to cutting. The increased space, allowed me to cut between each letter easily. It would be tight cutting if you were to use standard spacing. If you use Dolch Sight Words, you can check out my already made puzzles HERE (page 2 and 3 have each level listed separately). 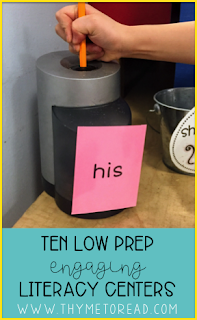 This activity would help to reinforce sight word spelling (visual). If you had each student spell/read their would aloud, it would also support your auditory learners, and the hands on manipulation of building the word supports your tactile learners. These puzzles are also a great activity to send HOME with your students, so they can keep practicing. I have sent these puzzles home with my students, and they can send me a picture of the completed puzzles via ClassDojo. a two column board with (the same) 6-10 words on each side, arranged in a different order. I have created this editable template for you, so you can customize the words (or math facts) for your students. Once you have your game board all set, your students will begin flipping one card at a time. They will be looking for the first word in their column. As the cards are flipped, the students must read them aloud. When they see their first matching word, they can move their game piece. They only move ONE WORD AT A TIME. Once the cards in the deck have all been read, they are used again...and again...and again. 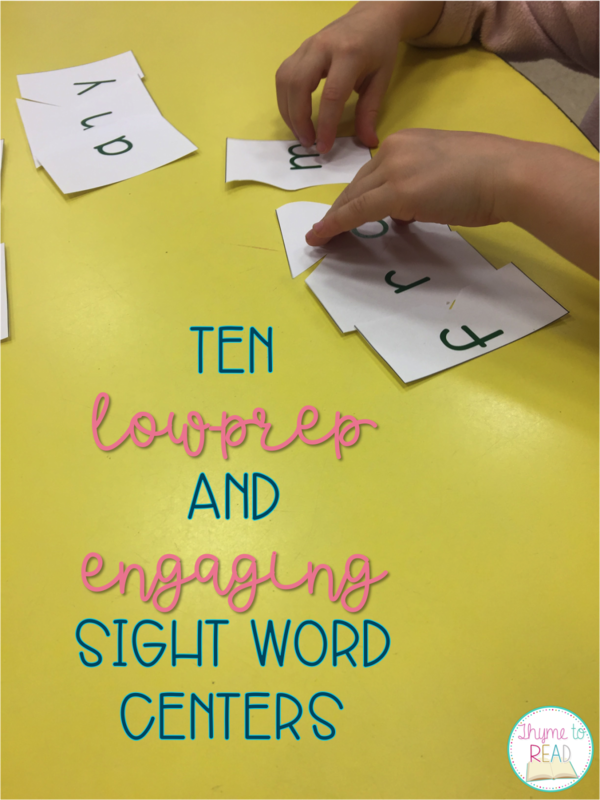 Because students can only move one word at a time, they end up re-reading the sight words several times before the game is over. The first student to make it to the end of their "road" is the winner. Again, you can ask students to spell the word (especially if it isn't automatic recall) or use the word in a sentence before moving their game piece. If you are interested in seeing video directions, I included a video tutorial in the freebie above! Also, I have created various Road Race games for special holidays and themes. When bundled together, they will supply you with a full year's worth of Road Race centers. While the words featured are not sight words, they are words my students like to use in holiday/themed writing, so my game cards double as a word wall when writing. If you are any where on social media, you have probably seen teachers playing Jenga to help review skills. Well, this wonderful idea was made popular by the one and only, Hope King of Elementary Shenanigans. In her post, she uses a giant Jenga set to review math facts with her students. However, she explains how she adapted her Jenga blocks to work for any subject or skill. She just painted the ends of the blocks! GENIUS!! I just had to try this idea out with my students. But, rather than getting fancy, I just quickly colored the ends of my Jenga blocks with permanent market. I colored my blocks to match my sight word game cards, which are color coded according to my district sight word lists (Not Dolch or Fry, but a mix of high frequency words). Similar to Hope's game, when a student wanted to pull a block, they needed to pull a sight word card from the coordinating color pile. But, if you know anything about Hope, or any Ron Clark Academy teacher, teaching with a sense of urgency is HUGE - no time for down time. So to get all students involved, in each turn, I had the student pulling the block, and identifying the sight word, read it aloud to the group. At this time, the other players would use a white board to write the word down. They would have to show the first student, who would confirm their answers before pulling the block. 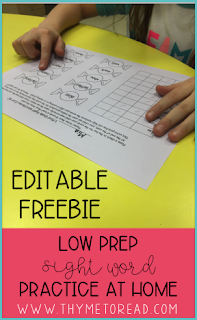 This is truly a great game to play in a teacher guided or independent center. This would also be an easy game to share with families at a back to school night, so it could be played at HOME as well. Allowing our students to play can be great for social development; they learn to work cooperatively, problem solve, and express themselves effectively. Connecting play with specific learning outcomes can maximize the impact the games have. During my small group interventions, I play a lot of games with my students. Many of my students do not like reading, because it is HARD. Playing games has been an effective tool to take the pressure off of reading, but continue practicing skills. As I try to teach with as much "Hope King urgency" as possible, I do not like to spend a lot of time going over the rules of a game. I aim for consistency. My student play these same few games throughout the year, and it really minimizes the amount of time I have to spend going over directions. I can also easily assign these as a partner activity during an assessment time, and I trust that my students can play by themselves. I usually start by introducing Sight Word Memory, and Sight Word Go Fish. These are two games my students often come to me knowing how to play. They are played just like the games you played when you were a kid, with sight words instead of pictures or numbers. Next I introduce BAM! and ZAP!, which are really the same game, just with a different name. I really like this popular game because it is hard for a student to "get out" which means a lot of practice. Finally I introduce the game Don't Feed the Raccoon. I love this game from The Stay at Home Educator, it is another game that makes it difficult for a student get out. 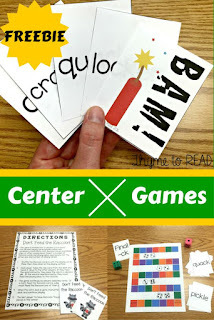 If you are interested in using any of these games in your small groups, or centers, check out my top downloaded FREEBIE that is full of games to play. If you would like sight word cards to add to your games, I have Dolch and phonics based game cards available for you HERE. If you print two copies of these cards, they are a very easy activity to send HOME for extra practice! This is such a FUN GAME! I first stumbled upon this game on Pinterest, as suggested by, Hurray for Full Day Kindergarten. I have played this game when pushing into another teacher's classroom. We gave each of the students a sight word (we made sentence strip headbands, so we could tape a flashcard to it). The students did not know what sight word they had. The students needed to go around the room, read their friends' sight words and record them on a class chart. By process of elimination, they were able to figure out what word was taped to their head. Such a simple game, but man did our kids have fun with this one. I have tried this in small groups too. It wasn't as much fun without the hustle, but the kids enjoyed it. With only 5 (or so) students, they were able to eliminate words in their head, and a recording sheet wasn't needed. Our students do not do well in chaos. I do not mean that your classroom is chaotic, I just mean that kiddos thrive in predicable and consistent environments. We can only control our classroom, so we certainly have to maximize our instruction when our students our with us. And we certainly cannot control what goes on at home. We can only hope that our students keep practicing at home, to up those exposures, and commit these words to long term memory. One way to provide some consistency is to share ideas at a back to school night and share the same ideas (plus some new) during parent teacher conferences. The more our families hear our message, the more likely they will use our strategies. Additionally, I have found that families like consistency as much as our students do. By having predicable expectations of my students' families, it has increased at HOME participation a ton. For instance, at the beginning of the school year, I was sending home a variety of ways to practice sight words. I didn't want my students to get bored; I thought I was doing a good thing. As it turned out, I wasn't getting a lot of at home participation. I switched things up and sent home the same activity for a few weeks, and the participation increased. Let me be real for a second, it is not that my students' families didn't care, I'm sure it's that they are busy - I know I'm a busy mom! Busy cooking dinner, doing other homework, running kids to practice or dance lessons... it was not fair of me to ask the families to learn a new activity to practice sight words week after week. I still send home some of the activities. For example, when their child starts a new sight word list, they get a set of Go Fish cards. I hope they get used, but if they don't at least I don't know it! Now, my students take home a Bubble Gum practice sheet. On the front, a family member just needs to quiz their child on the sight words, and indicate with a check if it was read correctly. On the back, are ten boxes (one for each word on the front) where the student can write a sentence or draw a picture clue of the word. Grab this EXCLUSIVE BLOG FREEBIE now. This is another REALLY low-prep practice activity, and an idea that can be shared with your students' families for HOME practice. All you need is a set of flash cards (words written on index cards). Then you stick these puppies EVERYWHERE. If you have a student that wants to use the iPad during centers, they first have to read the password taped to it. Does your student want to use the bathroom? Read the password! Does someone want to ask you a question at the most inopportune time? (gasp! Not my kids!) Give them a password to read first. How Wee Learn shared a tip of how to make this idea work at home. She put words on her stairs, and her little kiddo enjoyed reading them while going up the stairs. How creative! me construct the "cheetah board" which gives them a concrete visual/tracking of how they are doing. This activity has been named "cheetah words" by my students because whenever you ask a kid, "Give me an example of a fast animal." They always say cheetah. I have created a BLOG EXCLUSIVE freebie for you, but feel free to use this idea in your classroom, and allow your students to select the animals on their board. 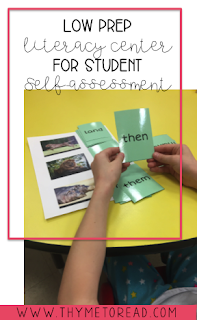 To use this freebie, you will just flash through some sight words with your student, and sort the cards into automatic (cheetah), almost there (lion), and still practicing (hippo). I have used the space on the side to tally the number of words in each pile. The running record of tallies helps to show the student their progress. I usually keep the "cheetah" words in my group for about a week, first I sort, then I let the student sort where the words will go. When I feel they are confident (and honest) in their independent sort, I let them work with a buddy, and take their sort HOME. 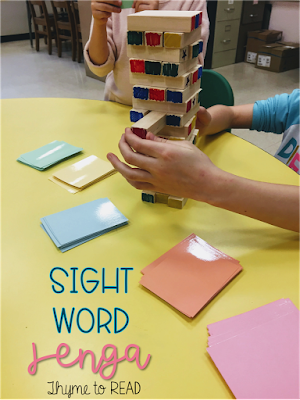 Parents have also enjoyed this activity because it is easy, and some have commented that it helped them to realize just how automatic sight words need to be. I hope these ideas are useful to you, your students and/or your children. All of these activities are ones that can be prepped in little time, so you can start using them next week, if not tomorrow! If you have any questions about these student approved centers, please let me know! I am happy to help in any way I can. If you use any of these ideas, please check back with me so I know how they went. If you are looking for more ideas, be sure to follow my Pinterest board dedicated to sight words. I am always on the hunt for new and fresh ideas to keep my students engaged.